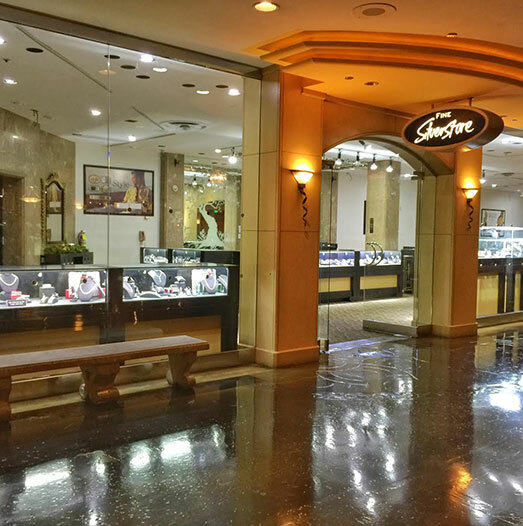 Located in many hotels on the Las Vegas Strip, BLING has been the revered Cubic Zirconia luxury boutique since 2005, by featuring high end Cubic Zirconia jewelry. From earrings to engagement rings and everything in between, BLING's items are all platinum plated, .925 sterling silver. Lavishly designed and intricately set, BLING's jewelry is of the highest quality, catching anyone's eye with its shine and excellence. For decades, our family has worked with jewelry, but it has become a passion to provide beautiful, exquisite jewelry at more affordable prices. BLING has been born from a family of two generations involved in the creation and production of elegantly designed Sterling Silver, Cubic Zirconia jewelry. We will stand behind all of our products and keep our promises of great quality, service, and dedication to make your experience with us enjoyable and brilliant, just like our jewelry!